Corporate Day Trips Vancouver and Whistler! It’s time to get your staff organized for a Corporate day trip Vancouver excursion. Get out of the office for a Corporate day trip or team building adventure! Vancouver and Whistler have so much to offer in this regard. Here are a few..
Harbour Cruise in Vancouver offers a most unique boat experience. Enjoy food, drinks, entertainment, lunch or dinner and surround yourself with city skyline and brilliant coastal mountain ranges. They are open year-round and some of their more popular cruises include a Sunset Dinner Cruise, Luncheon Cruise, and the Carol Ship Parade of Lights! Located on the beautiful Sea to Sky, half way between Vancouver and Whistler you’ll find Britannia Mine Museum, an award-winning non-profit museum in Britannia Beach. They offer guided tours and impactful exhibits that include a mine train, gold panning, a play area for children and underground demonstrations. 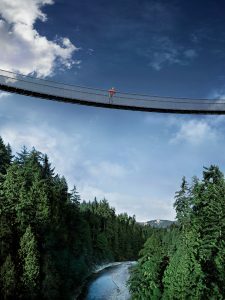 They were voted the “Best Attraction” for the Sea-to-Sky and Whistler area. Ziptreck Ecotours in Whistler is geared to take your team on an adventure to remember! Their Whistler Zipline Tours are a blend of education and adventure. Choose from their Ziptreck Eagle Tour, Ziptreck Bear Tour, Mammoth Tour, Treetreck Canopy Walk, or Ziptreck Peak 2 Peak. Whistler Blackcomb Summer Mountain Top Dining! Travel with your team on a day excursion along the Sea-to-Sky highway all the way up Whistler Blackcomb Mountain for some summer hiking and a mountain top BBQ. It runs on Friday, Saturday and Sunday evenings at the Roundhouse Lodge on Whistler Mountain. Choose from whole hog Fridays, slow roasted prime rib Saturdays or pacific seafood grill Sundays. Yum yum! Contact Luxury Transport to help plan your next Corporate event or team building excursion! Adventure awaits you and your team!